The resolution adopted by the region's Transportation Planning Board is the first concrete action toward new goals to reduce traffic jams and get people around town faster and more efficiently. WASHINGTON — Efforts to alleviate traffic for tens of thousands of D.C.-area commuters were approved Wednesday, but not before Maryland attempted to eliminate a provision pushing for uniform tolling practices across the region’s express lanes. The resolution adopted by the region’s Transportation Planning Board is the first concrete action toward new goals developed over the last two years to reduce traffic jams and get people from home to work or other activities faster and with more efficiency. “The first step, a concrete effort, toward the projects, programs and policies this region [will] fund and implement in the coming years,” said TPB Chairman and D.C. Council member Charles Allen. The Maryland tolling amendment was rejected by on a 16-7 vote. 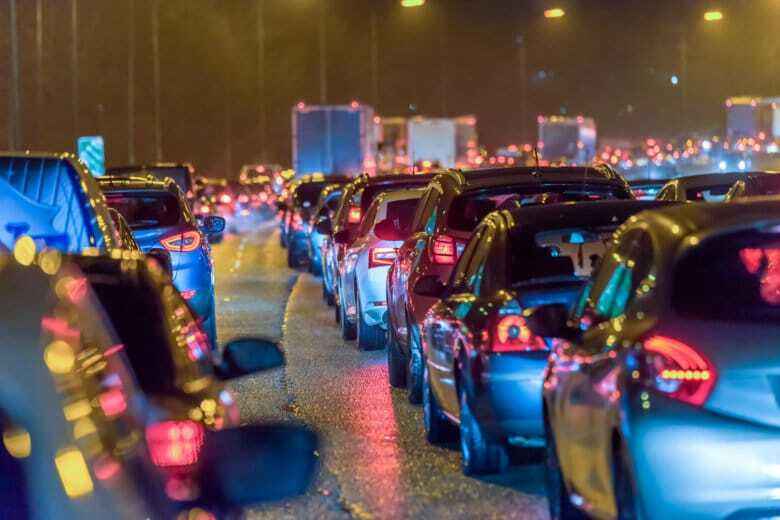 It attempted to remove language calling for toll lanes like the ones Maryland is planning around the Capital Beltway and Interstate 270 to provide free access for carpools and buses. It also would have removed language calling for the same rules to apply for “express lanes” in both Maryland and Virginia and instead asked simply for a study of tolling operations elsewhere. Maryland has not committed to matching the tolling rules in place in the 95 and 495 Express Lanes in Virginia, where users with at least three people in the car and an E-ZPass Flex in HOV mode travel free no matter how high the variable toll price goes. “The TPB, as a body, is asking for the states to do something that is clear and is consistent across the region,” DDOT Chief Project Delivery Officer Sam Zimbabwe said. The resolution also calls on transportation and planning agencies to develop a framework of standards for bus rapid transit across the region that includes operations and service levels and recommended development density around stations. Some systems with bus-only lanes are under development in Maryland and Virginia, and Arlington and Alexandria already have Metroway. Possible nearer-term upgrades include easier access to bus stops, Metro, MARC and VRE stations to make it more realistic for many people to bike or walk to them, if local transportation agencies decide to fund the projects identified by new reviews. By the end of June, the TPB expects a prioritized list of stations where additional sidewalks, bike trails or other access improvements have the most potential to increase transit ridership by filling existing empty seats on trains and buses, particularly for those stations in areas that have been left behind by other improvements. Also by the end of June, the TPB plans to support a wider network of bike trails beyond the National Capital Trail. While the already-endorsed trail could work as a bicycle beltway of sorts, the additional trails would include connections to the entire region from Frederick, Maryland, to Fauquier, Virginia. The third segment of the new effort to bring cleaner, greener and cheaper fixes to the region’s traffic congestion focuses on commuter alternatives to driving to work alone. To start, the Commuter Connections program plans to look into more “gamification” — or rewards through apps and other methods — that can incentivize people to carpool or take transit. The program would also expand its focus to make it easier for local governments to work with Metro to encourage businesses to provide commuter benefits to workers through pretax SmartBenefits. To help shift commutes or eliminate them altogether, Commuter Connections will also develop policy templates that small- and medium-sized businesses can adopt for flex-time or telework programs. Developing the policies can be a barrier for some businesses otherwise interested in allowing telework, which has already grown dramatically in recent years for people working for government agencies or larger employers. To address longer-term traffic growth issues, separate work by the Council of Governments is analyzing regional land use planning and housing development. Recommendations from that review could come next year.